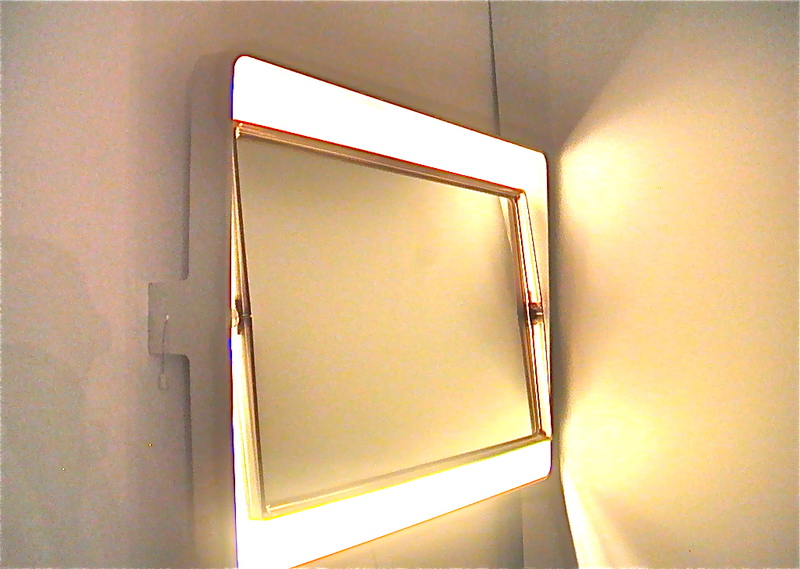 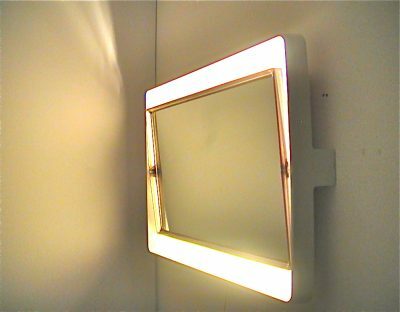 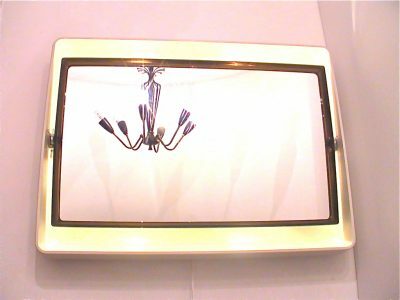 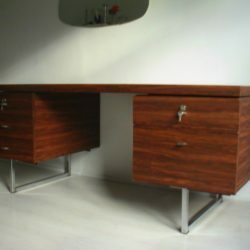 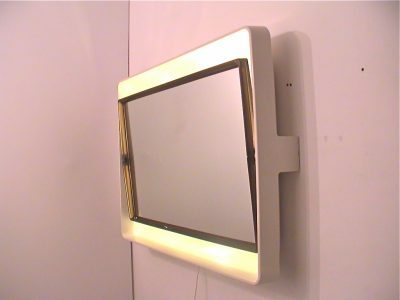 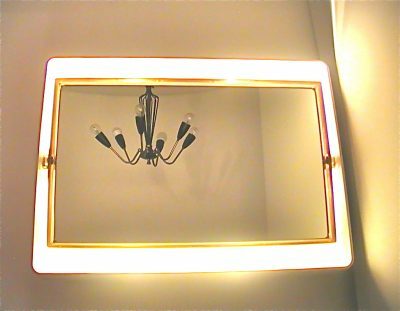 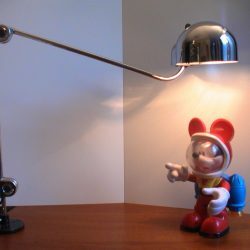 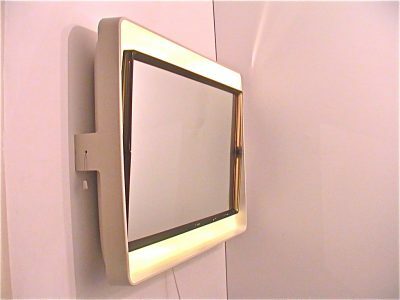 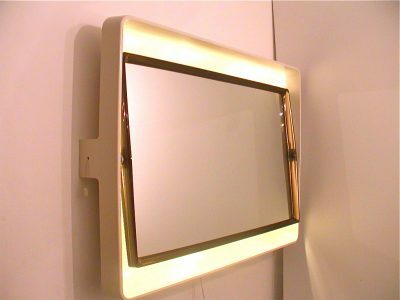 This vintage space age mirror from Allibert, Germany has 4 lamps behind the mirror. 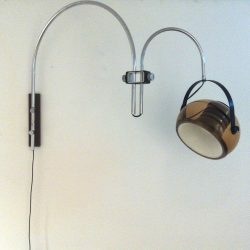 When on it looks really funky. 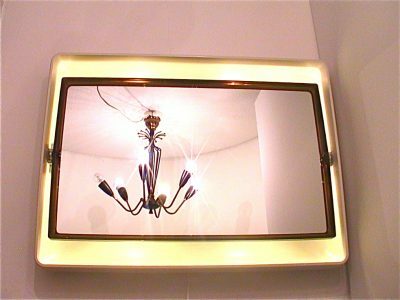 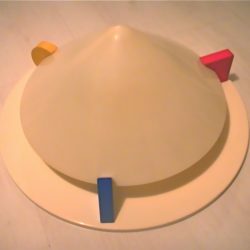 The shape from the mirror is rectangle and that is what makes it different from most Allibert mirrors, that are round or elliptical shaped. 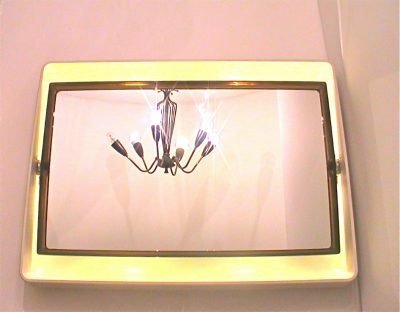 The mirror is in fine vintage condition.